This Philips Avent Little Sippy Cup is the ideal drinking solution for the growing toddler. The soft, angled silicone spout has a built in valve for spill-free drinking and is designed to help toddlers take their first sips easily without tilting their head back too much, allowing the little one to develop a natural drinking position.Amazingly spill-proof no matter if it is used at home or out and about, and yet easy to drink from. The spout with valves also fit the feeding bottles so they become spill-proof too. About the Brand: Pregnancy and early parenthood is an exciting and challenging time, when it's good to know there is expert advice on hand to help take care of you and your baby. 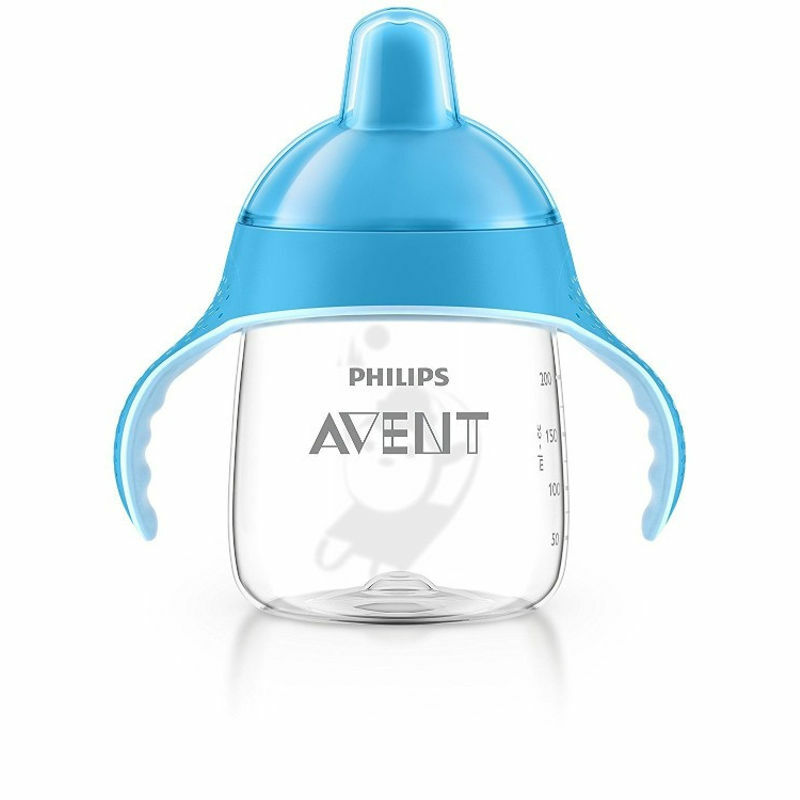 Philips Avent has been designing and manufacturing products since 1984 that are inspired by nature and have been developed through extensive research and clinical trials. Now, as part of the Philips Group, the new Philips Avent will continue to produce innovative solutions that make feeding and caring for your baby easier.